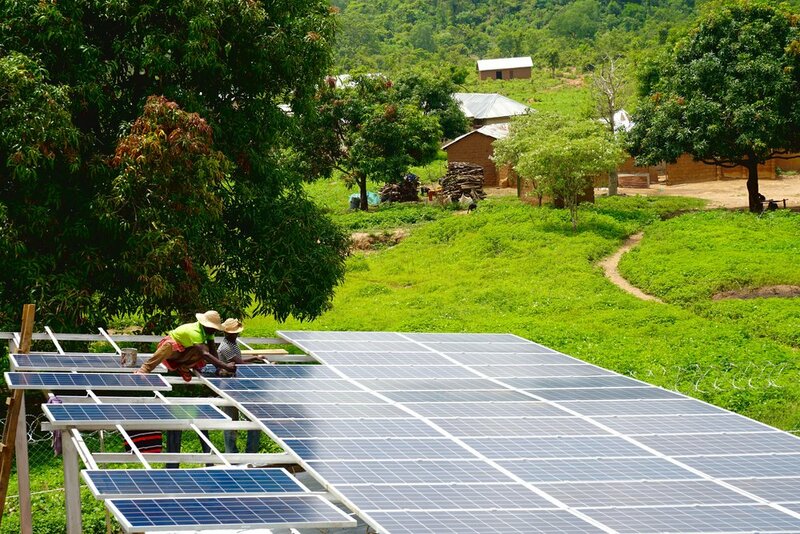 USADF and All On will commit $3 million over 3 years with the goal of expanding off-grid energy access for underserved markets in Nigeria, through solar, wind and biogas technologies. LAGOS, NIGERIA—December 7, 2017- Today the U.S. African Development Foundation (USADF) and All On announced the creation of a $3 million partnership with the goal of expanding access to energy for underserved and unserved markets in Nigeria. Over the next 3 years, both parties will jointly provide funding for up to 30 Nigerian small and medium enterprises that improve energy access through off-grid energy solutions spanning solar, wind, hydro, biomass and gas technologies. USADF will provide grant funding to the selected companies while All On will provide an equal amount of impact capital in the form of convertible loans and/or equity. Since 2013, USADF off-grid energy investments have already turned on the lights for over 120,000 people in hard-to-reach areas. USADF has invested over $7.5 million in 75 energy entrepreneurs in nine countries to bring affordable and renewable energy to rural communities across Africa. USADF is a key partner in Power Africa, a U.S. Government-led initiative aimed at doubling the number of people in Sub-Saharan Africa who have access to electricity. All On is an impact investing company that works with partners to increase access to commercial energy products and services for under-served and unserved markets in Nigeria, with the Niger Delta as the priority region of focus. It seeks both financial returns and social impact to provide or improve access-to-energy for millions of households and SMEs. The company recently announced their first set of debt and equity investments. Power Africa is a U.S. Government-led partnership coordinated by the U.S. Agency for International Development (USAID). Launched in 2013, Power Africa’s goals are to increase electricity access in sub-Saharan Africa by adding more than 30,000 megawatts of electricity generation capacity and 60 million new home and business connections. Power Africa works with African governments and private sector partners to remove barriers that impede energy development in sub-Saharan Africa and to unlock the substantial natural gas, wind, solar, hydropower, biomass, and geothermal resources on the continent. To date, Power Africa has leveraged over $50 billion in commitments from the public and private sectors, including more than $40 billion in commitments from the private sector. For additional information, please visit the Power Africa website at www.usaid.gov/powerafrica. To download official press release, click here.